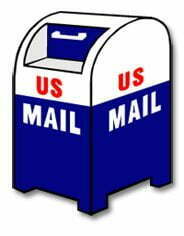 This page is for ordering Zentangle® art supplies being delivered to Canada. Mail orders are also welcome. All prices are US dollars. Send your order with payment in US funds to Linda Farmer, TanglePatterns.com, PO Box 31146, Palm Beach Gardens FL 33420. NOTE: If you are not clear on the shipping cost for your order please contact me first. Be sure to PRINT your shipping address clearly and include your email address so order tracking details can be sent to you.